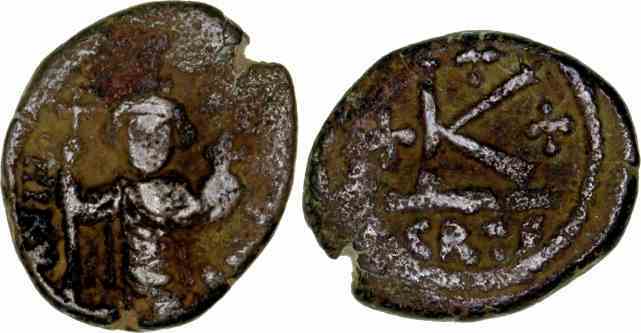 Bronze half follis, 19mm, 5.42gm, issued AD 641-668. Constantinople mint. Obv: Constans standing facing, beardless wearing crown, chlamys and paludamentum and holding long cross and globus cruciger. Rev: Large K between two crosses a third cross above. References: DO 135, Sear 1056.